The Samsung Galaxy Fold's upcoming April 26 launch may be delayed until May at the earliest, per a Wall Street Journal report. 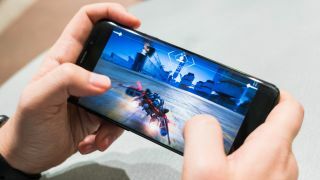 OnePlus CEO Pete Lau is talking up its new OnePlus 7 phone, and made a little news about its super fancy new display. Planned unveilings have been pushed back, according to insider sources, while Samsung's investigations continue. Updated Apple is ready the iPhone 11 for September, according to the latest leaks, and it may include a triple-lens camera. techradar deals The ultimate camera phone at a brilliant price - grab these Google Pixel 3 XL deals before they're gone. The size and design of the 2019 iPhone models is now more certain than ever after the latest leaked images.